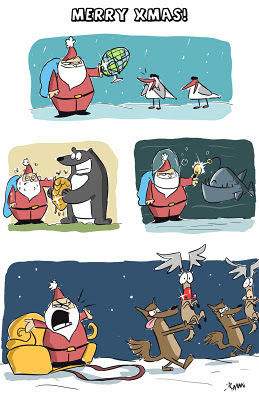 Green Humour: The Green Humour Christmas Greeting! The Green Humour Christmas Greeting! 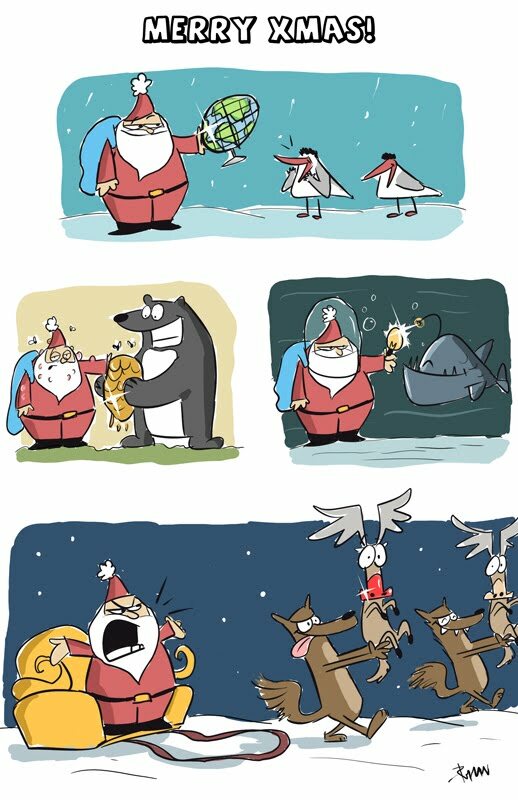 Here are Santa's gifts to some Green Humour stars this Christmas- a globe for the Arctic Terns, a light bulb for the Angler fish, a honeycomb for the sloth bear and, well, his beloved red-nosed reindeer for the hungry wolves.